Ed. Note: The following is an adaptation of an article provided by our Conference office at www.pnwumc.org. Gaps or errors in the history were corrected with details provided by “Methodism in the Northwest” by Erle Howell. The Pacific Northwest Annual Conference of the United Methodist Church has its origins with the Oregon Mission of the Methodist Episcopal Church. One of the first Methodists in the region was likely Jedediah Smith who was a frontiersman and trapper. Some time later, four Native Americans made their way to St. Louis to visit General William Clark, the superintendent of Native American affairs. William Walker wrote to D.P. Disosway, the founder of the Methodist Episcopal Church’s Missionary Society, about this visit. He forwarded the letter to the editor of the Christian Advocate and Journal in New York where it appeared March 1, 1833. Zion’s Herald, another publication, then copied it. Lee was selected as “Missionary to the Flat Heads” He was accompanied by his nephew Rev. Daniel Lee of the New Hampshire Annual Conference. Cyrus Sheppard (a teacher) and P.L. Edwards and Courtney M. Walker (two laymen) of Independence, Missouri joined them. They also traveled to Oregon with Nathaniel J. Wyeth. The party arrived at Fort Hall, near Pocatello, Idaho, July 14th. On July 27th, the first Protestant sermon west of the Rocky Mountains by an ordained Methodist clergy occurred there. They reached Fort Walla Walla on September 1, and on September 15th were welcomed at Fort Vancouver by Dr. John McLoughlin, the Chief Factor. Jason Lee selected a site north of present day Salem. Construction of the Mission House commenced on September 29th and the missionaries moved into an unfinished building on November 3. On June 1, 1840 the ship Lausanne from New York City arrived at Fort Vancouver with nine ministers, eleven men in the secular service, five teachers and a stewardess. This was known as the Great Reinforcement. The missionaries were sent to Clatsop, Nisqually, Umpqua, The Dalles, Willamette Station and Willamette Falls. At Fort Nisqually, the Richmond’s joined Captain Wilkes Expedition’s observation of the first Fourth of July celebration in what would become Washington. At the mission Miss Chloe Clark married William Holden, which was the first marriage by Methodists in the Puget Sound region. The Rev. George Gary succeeded Jason Lee as the second superintendent. Rev. Gary closed many of the missions and arranged for the sale of The Dalles Mission to Marcus Whitman of the Board of Foreign Mission. But the Whitman’s were killed at Waaiput and the other inland missionaries moved to the Willamette Valley for their safety. Rev. Gary served until the Rev. William Roberts arrived to take charge as the third and last superintendent of the Oregon Mission. In 1848 the Mission became the Oregon and California Mission Conference with Rev. Roberts as superintendent. 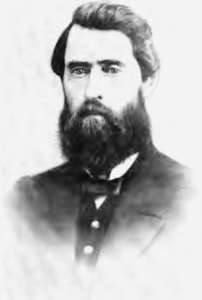 In 1853 the first session of the Oregon Annual Conference was held by Bishop E.R. Ames, and Rev. Benjamin Close was appointed presiding elder of the Puget Sound District. By 1853, organized congregations in the newly formed Washington Territory were emerging in Steilacoom, Olympia, Seattle and elsewhere. In eastern Washington, a Walla Walla church was organized in October 1859, and Rev. James Harvey Wilbur began work at White Swan in 1859. He had arrived in Oregon along with Rev. Roberts. The oldest operating Protestant congregation in Idaho is Moscow UMC, which was organized Dec. 21, 1876. The Grangeville UMC was organized the following year. The Oregon Annual Conference was divided in 1873 with the establishment of the Eastern Oregon and Washington Annual Conferences. The first Washington Annual Conference session was held in 1874 in Walla Walla. After two years, the name was changed to the Columbia River Annual Conference. In 1884 the Puget Sound Annual Conference was formed to serve western Washington. Meanwhile, the Idaho Annual Conference for the easternmost counties of Oregon, and southern Idaho was organized. The German, Swedish, and Norwegian-Danish Methodists originated with their own respective districts and conferences in the late 1800’s but merged with the Annual Conferences in the early 1920’s and 1930’s. Talk of uniting northwest Annual Conferences began in earnest in the 1920’s but took twenty years to complete. The current boundaries of the PNW and the Oregon/Idaho Conferences were roughly fixed in 1939 at an Annual Conference held in Bellingham, Washington. In 1972, the Pacific Northwest Annual Conference of the former Evangelical United Brethren Church united with the Oregon-Idaho and Pacific Northwest Annual Conferences. A special thanks to Rev. Melvin Finkbeiner for his research and finding this article for the PNW website, to the PNWAC Commission on Archives and History, and to Rev. Don Shipley for his edits.